Nail art has always been a fascinating thing for me. Creating vibrant designs, using vivid colours and patterns makes my nails stand out among others. But there are times when you are so confused about what to create on your nails or when you don't find the kind of shade you need at that time or in the brand that you love. 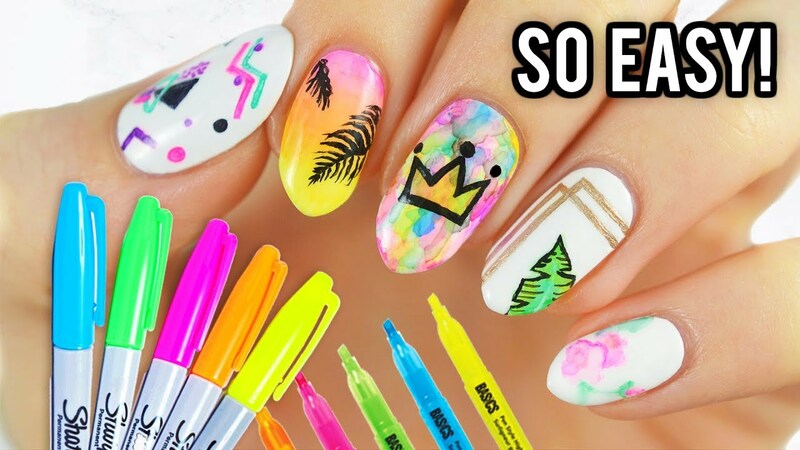 Well, for that time all you need is the most basic nail art tool - a sharpie! Hope you enjoyed the Sharpie nail art tutorial and will be inspired by these to create some of the gorgeous nail designs one can imagine. Wow! Excellent color. I like this nail images. I am enjoy see this nail design..